With tax season quickly approaching, it’s time to start preparing and gathering all relevant receipts and paperwork to file your taxes! GBC Technical Training students whose tuition fees have totaled at least $100 are eligible to receive a tax credit for tuition fees through the Tuition, Education and Textbook Amounts Certificate (T2202A). Students can access and download their T2202A from their online student account, which will account for all programs paid for during the 2018 calendar year. T2202A receipts will be available by the 3rd week in February, and can be accessed through GBC’s STU-VIEW system at http://stuview.georgebrown.ca. 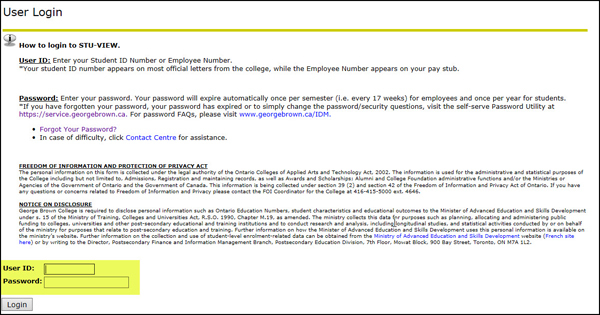 Students will need their 9 digit Student ID and a STU-VIEW password to log in. If you do not have, or have forgotten your STU-VIEW password, please call George Brown College at 416-415-2000 or 1-800-265-2002 between 8:00 am to 6:30 pm from Monday to Thursday, or 8:00 am to 4:30 pm on Fridays to create or reactivate your password. When calling, please have your nine digit Student ID number available so we can quickly create or re-activate your STU-VIEW password. Once you’re logged into STU-VIEW, click on the “Registration Services” page. Under “Canadian Tax Forms”, click on “T2202A Tax Credit Forms”. If you have any questions about your T2202A, please give us a call, toll free at 1-888-553-5333 or contact us by email at info@gbctechtraining.com.